Lithia, Fla., January 15, 2019 – Marcus & Millichap (NYSE: MMI), a leading commercial real estate investment services firm with offices throughout the United States and Canada, today announced the sale of FishHawk HealthPark, a 21,640-square foot office property located in Lithia, Fla., according to Ari Ravi, regional manager of the firm’s Tampa office. The asset sold for $5,700,000. Jaclyn Blair, Krone Weidler and L.J. Tsunis, investment specialists in Marcus & Millichap’s Tampa office, had the exclusive listing to market the property on behalf of the seller, a limited liability company. The buyer, a limited liability company, was secured and represented by Dana Speer, an investment specialist in Marcus & Millichap’s Tampa office. 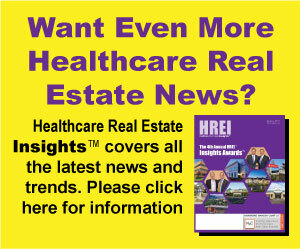 “Fishhawk Healthpark attracted substantial interest from both healthcare specific buyers and private investors across the southeast. The strategic location of the asset and the quality of the tenant mix resulted in a total of 8 offers and substantial proceeds for the seller,” says L.J. Tsunis. “FishHawk Medical Plaza provided a strong tenant mix in a growing location for my buyer who was involved in a complex 1031 exchange. This asset offered her an opportunity to own a stable, long-term asset close to home that met her return requirements,” adds Dana Speer. “Fishhawk Healthpark attracted substantial interest from both healthcare specific buyers and private investors across the southeast. The strategic location of the asset and the quality of the tenant mix resulted in a total of 8 offers and substantial proceeds for the seller and ultimately sold to a private investor in a 1031 exchange,” says Jaclyn Blair. 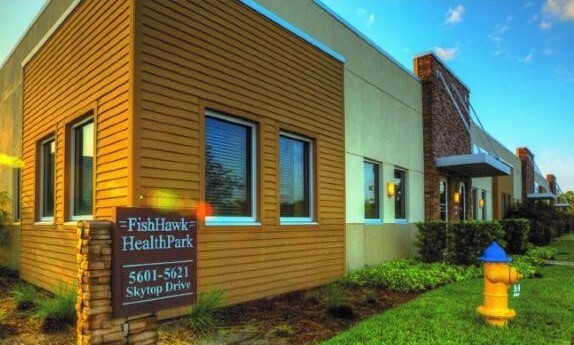 FishHawk HealthPark, consists of a two, one-story buildings, for a combined 21,640 square feet. The buildings are new, modern medical office space with construction completed in 2016 and 2017. The property is located at 5611 Skytop Drive in Lithia, Florida, the planned residential community of FishHawk West. FishHawk HealthPark is the only medically zoned space in the newest phase of this planned community and is located on a busy corner of FishHawk Boulevard with 18,000+ vehicles per day. Currently 90.4% occupied, tenants include BayCare Medical Group, Pediatric HealthCare Alliance, Comprehensive Center for Dermatology, iHeart Smiles Pediatric Dentist, Watts Dental, Chiropractor and a pharmacy.